LATEST: Duterte na-offend sa comment ni Santiago tungkol sa Mega Rehab Center! 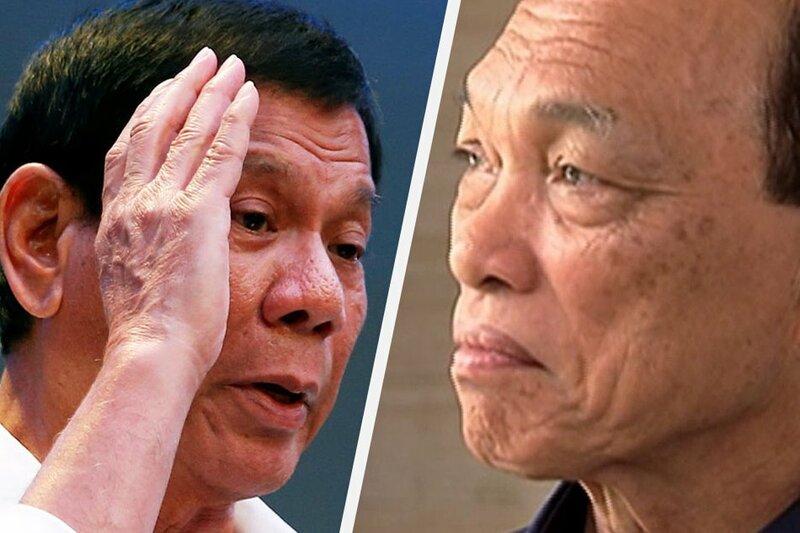 President Rodrigo Duterte on Wednesday said he was offended by chief Dionisio Santiago's comment that building the mega drug rehabilitation facility in Nueva Ecija was a mistake. “I was offended. He could have asked me for an audience and tell me all about it,” Duterte told the reporters prior to his departure for Vietnam to attend the Asia Pacific Economic Cooperation (APEC) Summit. “Kaya kita inilagay diyan not to issue statements to the press. Nilagay kita diyan para magpunta ka sa akin kung ano ang problema sa bayan at tuturuan mo kung nagkulang ako, kung ano ang dapat gawin. You don’t go open to the press and start to blabber,” he said. Santiago had tendered his irrevocable resignation on Monday on Duterte's orders, reportedly relayed to him by Executive Secretary Salvador Medialdea. This after Santiago called the construction of the mega drug rehabilitation facility a "mistake." Santiago, a former military chief and head of the Philippine Drug Enforcement Agency, had made the comment on an interview. He said money used for the Mega Treatment and Rehabilitation Center in Nueva Ecija could have been used to fund smaller community-based rehabilitation programs. The rehab center was a key project under Duterte's war on drugs built in partnership with philanthropists, led by Chinese tycoon Huang Rulun. "That was a mistake. Ang problema, naging excited si President. 'Yung ginasta doon, puwedeng ginamit sa mga community-based rehab yun, malilit which can only accommodate siguro mga 150 to 200," Santiago said. Moreover, he said admitting drug dependents to the treatment center must be difficult due to its location.